Copyright 2018 Messe Muenchen India Private Limited. All rights reserved. All texts, artwork, graphics, audio, video and animated files as well as their arrangements are subject to copyright and other laws on the protection of intellectual property. They may not be copied or altered for trade purposes or transmission or used on other websites. The Messe Muenchen India Private Limited website also contain artwork that is subject to the copyright of those who provided it. If not indicated otherwise, all trademarks mentioned on Messe Muenchen India Private Limited websites are legally protected trademarks of Messe Muenchen India Private Limited, including all Messe Muenchen India Private Limited, trade-fair names and all company logos and emblems. Messe Muenchen India Private Limited provides information without assurances or guarantees of any kind, be it explicit or implied. All implied guarantees concerning the marketability, the suitability for certain purposes or the non-violation of laws and patents are also excluded. Even though we assume that the information we provide is correct, it may nevertheless contain errors or inaccuracies. 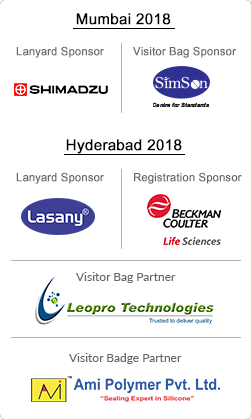 Messe Muenchen India Private Limited assumes no liability for incorrect descriptions or other false information on the websites of events that it does not organize. Messe Muenchen India Private Limited wants to offer you an Internet program that is innovative and informative. Therefore, we hope that you like our creative design as much as we do. Nevertheless, we hope you understand that Messe Muenchen India Private Limited has to protect its intellectual property, including patents, trademarks and copyrights, and that these websites cannot give any licenses for Messe Muenchen India Private Limited’s intellectual property. Some websites of Messe Muenchen India Private Limited contain links to other websites. We check these websites with reasonable care. However, Messe Muenchen India Private Limited is not responsible for the content of the websites to which we link. Messe Muenchen India Private Limited is also not responsible for the content of websites that link to or make reference to us. This declaration applies to all links posted on our website and to all content at all websites reached via banners and links on our website. It also applies to all websites of Messe Muenchen India Private Limited including all social media channels such as Facebook, Twitter, LinkedIn etc.